At the start of the school year, our IT and Business Administration track launched a partnership with Solar States and Clean Currents to complement their Philadelphia Solar Schools Initiative. The partnership will feature a yearlong course for our 30 ITBA students. This class – aptly named, “Find Your Power” – teaches students about both the vocation and business of the solar industry. The class will give students a deep understanding of the solar industry and how it relates to their everyday energy consumption. Students will also learn general business skills including marketing, finance, and project management. 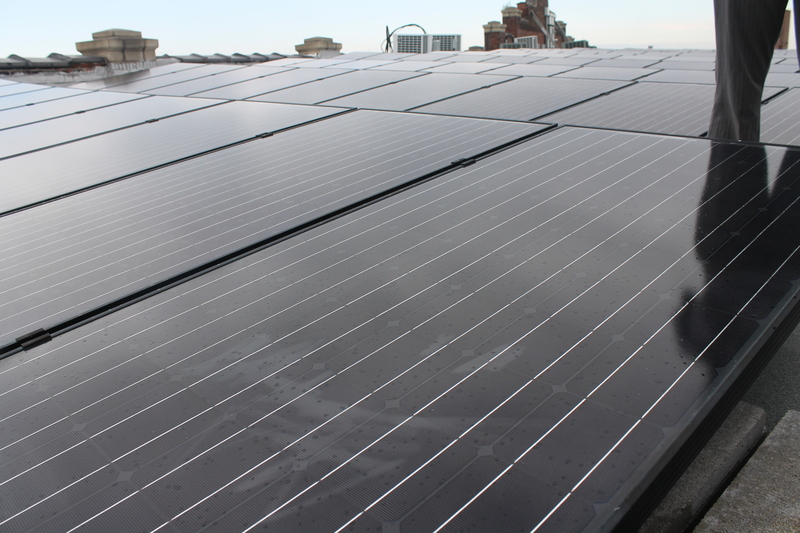 The Philadelphia Solar Schools Initiative will install solar panel arrays at twenty area schools to support about 30% of each school’s electricity use (wind power will support the rest). YouthBuild ITBA students will assist in the development, design, and installation of the arrays. Last week, students traveled to the Solar States offices in the Crane Arts Building to learn more about solar panels and see the large array of panels installed on the roof of the building! (You can see the array from above in Google Maps). Here are some photos from that visit. Keep an eye out for more updates from this exciting new project! Next Post Fun and service in the sun!